In case you missed it, Jeremy wrote a piece last week making a case for five players (Paul Konerko, Adrian Beltre, Juan Pierre, C.C. Sabathia and Adam Dunn) for the Hall of Fame. Check it out here! When in the process of narrowing the list to five, three unfortunate Cardinals players were left off. We wanted to get perspective on those three players, so we turned to the biggest Cardinals fan we know! Former Three Up, Three Down podcast guest and 2012 MLB Fan Cave Top 30 Finalist Kelsey Shea is here today with a guest blog, detailing whether or not three of her team’s best players have a shot at Cooperstown. Take it away, Kelsey! The St. Louis Cardinals are not exactly strangers to the Hall of Fame. In fact, a grand total of 38 players and 8 managers have both worn the historic birds on the bat and been inducted. And of course, there’s always talk of the two great presences lost by the team at the end of last year’s amazing World Series run: Tony LaRussa and a little old first baseman named Albert Pujols. But who currently on the Redbird roster might earn a ticket? 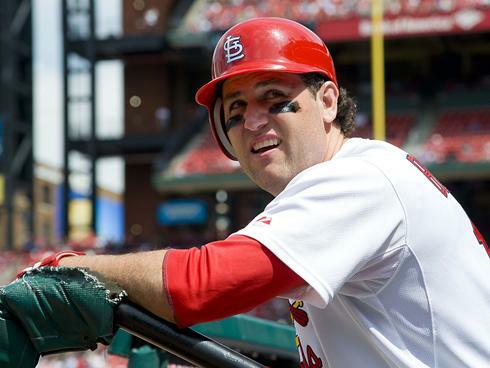 Originally an enemy of the Cards, Berkman positioned himself as a favorite in Houston with his huge offensive numbers and his title as one of the “Killer B’s” alongside Astros royalty Craig Biggio and Jeff Bagwell. But after fading in his later years, he endeared himself to St. Louisans with his contributions to a World Series title (his first) and a Comeback Player of the Year award. Today, he remains on the DL for the rest of the 2012 season due to an unfortunate, recurring knee problem, leaving everyone wondering: is he done? As far as accolades, Berkman is a six-time All Star with a habit for creeping into the MVP conversation. Although he never did get the MVP nod, he does hold the NL record for single season switch hitter RBIs with 136, and the NL record for single season switch hitter homers with 45…tied with another soon to be retiree and a sure Hall of Famer, Chipper Jones, for the latter. Berkman has a penchant for great postseason play, and let’s not forget The Big Puma also has another important and memorable attribute: a great nickname. His numbers are impressive, though he fails to reach some key milestones with under 2,000 total hits (1,843) and less than 400 homers (360). 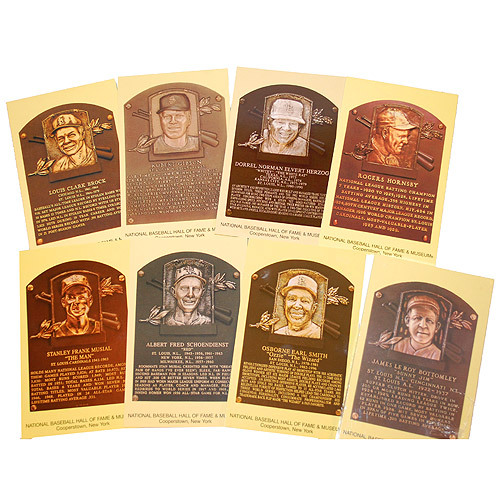 He’s a .296 hitter, but are these HOF caliber? I’m not sure…We have to remember that he will be competing with likes of PED-free Chipper, Vlad Guerrero, Jim Thome, and Ken Griffey, Jr. Granted, the offensive monsters of the steroid era that ruled the game for the first eight or so years of his career rendered the ability to stand out no small feat. Verdict: Not if he retires this year. His numbers just don’t match up to his competitors. And this one breaks my heart since he is probably one of the most likeable guys in the sport today. If anything gets him in, it will be his position as one of the game’s top switch hitters. However, without a few more seasons to boost his numbers, the Hall of Fame might be lacking one cuddly Puma. Here we have another switch hitter, another former Cardinal killer, and another former Astro. But Houston was not the city that Beltran would call his baseball home if you asked him today. Spending the majority of his career in Kansas City with the Royals and in the Big Apple with the Mets, he has enjoyed many years near the top of the MLB’s premiere hitters list. 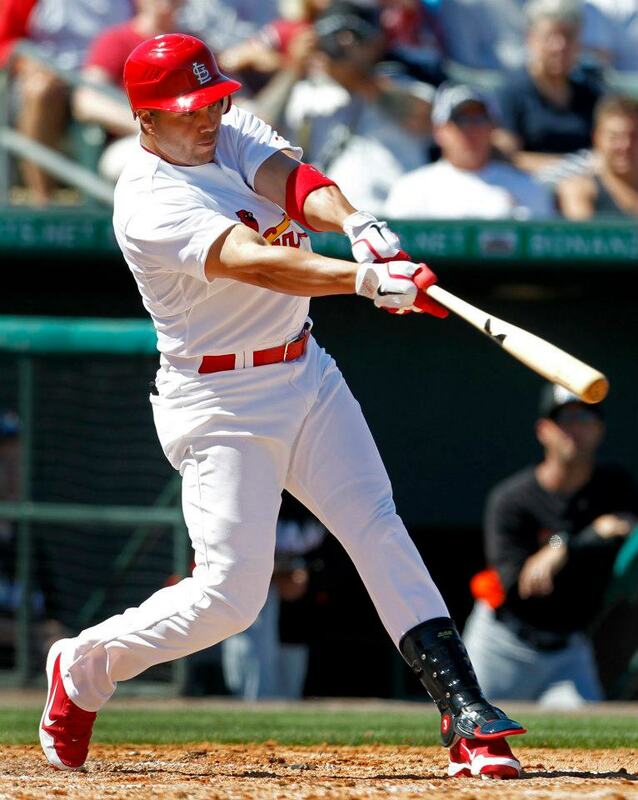 And when Albert Pujols departed for Anaheim, Beltran was the Cardinals’ answer to their offensive hole. He began his career with a Rookie of the Year award, and hasn’t slowed down much since. A seven-time All Star with one Gold Glove and one Silver Slugger, Beltran has proven himself to be an extremely well-rounded player. He has also been a huge postseason threat, tying the record for most home runs in a single postseason, with eight in 2004. He currently has 333 career homers, 2,049 hits, and a .282 average. But his most impressive numbers lie in his switch-hitting and base running abilities. This year, Beltran became the 1st player to hit from both sides (8th overall) and attain 300 home runs and 300 stolen bases. He is 6th all time in homers among switch hitters and he also holds the MLB title for highest stolen base percentage since 2000 at 87%. At 35 years old, it’s safe to say he’s nearing the end of his career. The question lies in how many good years he has left…He’ll probably end with just under 3,000 hits, but 400 homers are definitely within reach. Verdict: Yes. He will likely have to continue to show us the good stuff for at least 3 or 4 more years, and he’ll have to stay healthy, but I’d say he has a good shot. He has some honorable accolades and could possibly rank just under Chipper as far as his switch hitting numbers. His legacy will probably light the way to the Hall of Fame! Holliday made a name for himself in Colorado before spending a short half season with the Athletics, and coming to St. Louis. Of these names, he is perhaps the biggest fixture on the Cards, this being his 4th year with the club. And did I mention, he’s currently putting together a quiet bid for the 2012 NL MVP? His 229 homers, 1,511 hits, and .313 average will hopefully continue to grow. With perhaps five more good years left (he’s currently 32 years old), I wouldn’t really expect him to reach 400 homers or 3,000 hits, but he may come close. And we have to consider who he’s up against playing in the mid-2000’s and beyond. With Albert Pujols, Miguel Cabrera, Matt Kemp, and many other big names, it will be a tough class when it comes to breaking into the Hall of Fame. Verdict: Probably not. 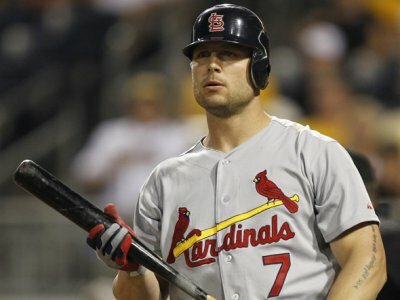 Unfortunately, Holliday seems to be one of those exceptional players who for the most part, goes unnoticed. And his Hall of Fame bid isn’t likely to be much different. Besides 2007, he just doesn’t have anything tangible to show for his consistent and superb play. I would like to hope he’ll prove me wrong and go on a tear for the next 5 or 6 years, but that remains to be seen. Don’t forget to follow @3u3d on Twitter, LIKE Three Up, Three Down on Facebook and FOLLOW our lovely guest blogger @KelseyShea11!